Last year, I had the opportunity to try out a wide range of brands, and my hope for this year, of course, is that I can explore and experiment with many other brands. Here are my personal top 5 brands to try out this year. One of the main reasons I really wanted to try this is because of the packaging. It’s black, simple and sleek – what’s there not to love? This year, I have my eyes set on the blush and lipstick – let’s hope that it will become a reality. I was this close to purchasing Tony Moly products in Korea because their ambassador was Seo Kang Jun…! Our favourite pianist (read here for my opinion on this show) aside, this brand is actually famous for its cute packaging. I prefer sleek, minimalist packaging (see above) over cute ones, but I’ve heard of some pretty good products from TM. 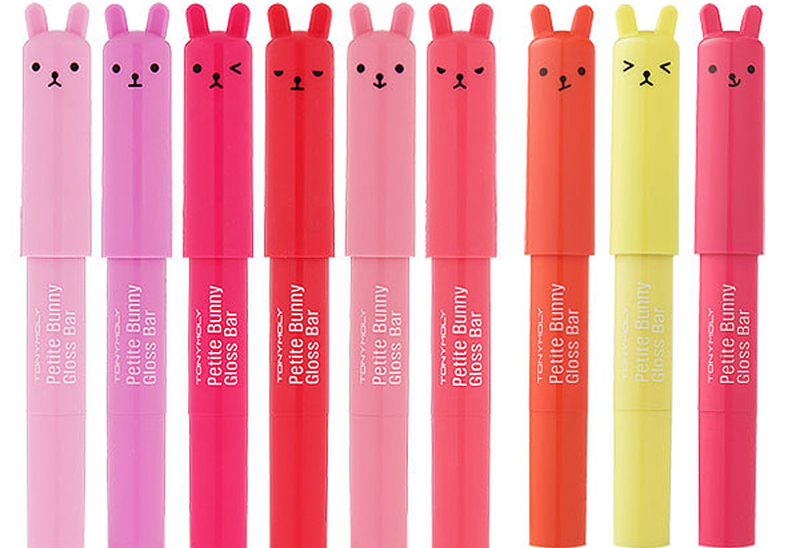 For example, TM’s Petite Bunny Gloss Bar is Soko Glam’s Best of K-Beauty Award Winner in 2017, rated 4.5 out of 5 with 92 positive reviews on the Soko Glam website. That is honestly very, very impressive. I’m also interested in their lip tints, because the lip swatches look so good. Again, I’m a true sucker for their packaging. There is so much old-school plaid, coupled with adorable doodles and illustrations. They are famous for their egg skincare/haircare products (not even kidding), but I’m really not too keen on it. What really caught my eye is the BB Foundation Lunch Box. A lunch box, for goodness sake! I walked past their stores quite often in Korea, but never really stopped to look at their products. I’m very curious about this Power 10 Formula. Having an essence targeted at a specific skin problem sounds like the kind of thing I need, but it also sounds like it will be an extremely expensive affair, haha. There are so many products under this brand that I’ve heard raving reviews of but never had the opportunity to try. I’m particularly interested in Double Wear Foundation and Pure Color Envy, but the price is not exactly friendly on the wallet :X Ah well, we’ll see how things go. I want to try NARS too but I’m afraid to because it’s expensive and I know I’ll love it. 😂😂😂 My best friend RAVES about the Lauder foundation. I’ve tried a couple of It’S SKIN products and want to check out more from them. I would love to try some of the products from the Art Class and Glam Rock lines of too cool for school. Too cool for school looks so cute, I have to look into that one. I’ve used some Tony Moly skincare stuff and that’s great, love the sheet masks! Estee Lauder is my favourite brand. I have some of the products from Estee Lauder. Must try, you will love it. I feel your pain with some of these more high end products. I would absolutely love to try them out, but not exactly possible most of the time. Estee Lauder is one of my favourite products for skincare along with Clinique and Lancome. Estee Lauder and NARS are two brands that I’ve been eyeing up, the other brands you’ve mentioned look really nice and exciting as well!